Three years ago, Microsoft Azure was the first to bring blockchain to the cloud. Now it’s connecting the technology to just about everything else. The software giant has quietly been building bridges between its blockchain services and other, widely used infrastructure and platforms, such as Office 365 Outlook, SharePoint Online, Salesforce, Dynamics 365 CRM Online, SAP, and even Twitter, according to Matt Kerner, the general manager of Microsoft Azure. The idea is to allow Microsoft customers to port their data from these platforms into the cloud, and from there onto a blockchain. Why? In addition to the usually touted blockchain efficiencies, one of the less-discussed benefits of distributed ledger technology (DLT) in a cloud environment like Azure, according to Microsoft, is that it amasses data from multiple companies in a standardized format at scale. The potential to mine data for all sorts of insights then becomes limitless, the company reckons. Hence, the company is integrating tools such as Microsoft Flow and Logic Apps – which offer hundreds of connectors to thousands of applications – into Azure Blockchain Workbench, a service it launched in May to make the creation of blockchain apps easier (Workbench currently has ethereum Proof of Authority configured as the consensus protocol). It’s all a part of the evolution of Big Data, Kerner explained. Prior to blockchain, he pointed out, cloud computing enabled departments within the same company to break out of their data silos and collaborate on heterogeneous data sets, increasing smarts through machine learning (ML) and artificial intelligence (AI). Stepping back, many would argue that data is now the most valuable naturally occurring resource on the planet. As the race to prove the best data analytics intensifies, firms are springing up whose sole purpose is to structure and format data to run AI algorithms on. But with enterprise blockchain, you get the structured and formatted data part thrown in for free, as Kerner said many Azure customers were discovering. “What blockchain is doing is creating a multi-party business process that is moving out of email, phone calls, spreadsheets and into a single system with a single view on the data that all of the participants can rely upon and trust,” he said. A good example of Azure connecting and balancing components in a large and complex production environment is Insurwave, which simplifies maritime insurance for shipping hauls carried by Maersk. The platform was built using R3’s Corda platform with help from EY and Guardtime and is now in commercial production with insurers such as Willis Towers Watson, XL Catlin, and MS Amlin. Insurwave, which tracks cargos and adjusts insurance premiums in real time, collates all sorts of data, everything from internet of things (IoT) sensors monitoring temperature, to whether the ship is going to hit a storm, or enter a war zone or an area heavily populated with pirates. Once this data is shared on the blockchain, Power BI, a Microsoft business analytics tool, can be used to gain insights about shipping hauls, Kerner said. Further, Ricardo Correia, a managing director and head of partner management at R3, said its relationship with Microsoft is a good deal more than Azure being Corda’s default preferred cloud. In addition to a one-click Corda capability, Correia pointed to integrating Corda into modules within the Azure marketplace. “This enables Corda to plug into a number of different capabilities including Azure SQL, active directory for identity access management and key vault for key management,” he said. Some of this is already in place because of Insurwave, with deeper integration also happening in a number of use cases. Notable ones include the webJet blockchain, which aims to reconcile hotels and other travel arrangements on a single ledger, and was cited by R3’s CTO Richard Brown as an example of Corda extending beyond mainstream finance. Widening the lens, the ability to track items in real time and share things like IoT data using a blockchain has made global trade and supply chain a leading light in terms of domains to chase. From a strategic point of view, Insurwave challenges IBM’s bid for global trade dominance, which also has Maersk in the position of flagship, so to speak. IBM has openly stated that this was its No. 1 target. 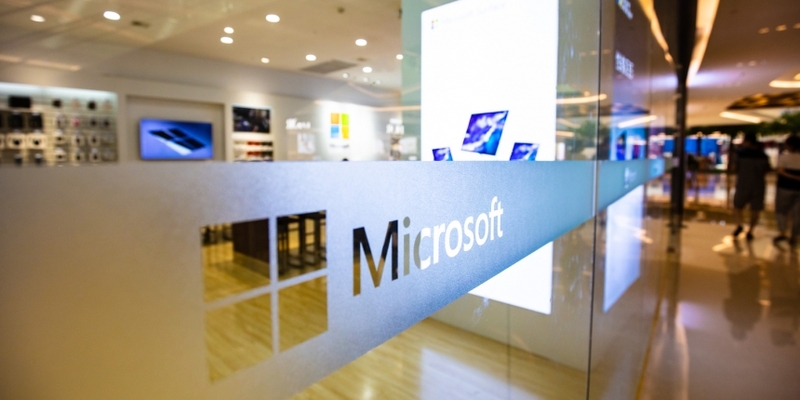 However, Correia said Microsoft is also making its mark in supply chain – perhaps with a little less fanfare. “It’s in their interest given they too have very large supply chains with a number of their product offerings,” he said. In terms of offering blockchain as a service, IBM has championed Hyperledger Composer for the past couple of years. However, there may be some question marks over the design of Composer, at least from an IBM perspective. Azure’s Kerner was tactfully equivocal about Microsoft’s enterprise blockchain rivals, adding that everything is built with an eye towards enabling a consortium that’s not exclusively on Azure. “It’s got to be open. Any meaningful consortium is going to have members who have different choices that they have made around their cloud provider and who they choose to work with,” he said.